Published March 18, 2018 at 2113 × 3220 in The original burial site of Sergeant James Hughes DCM, MM. 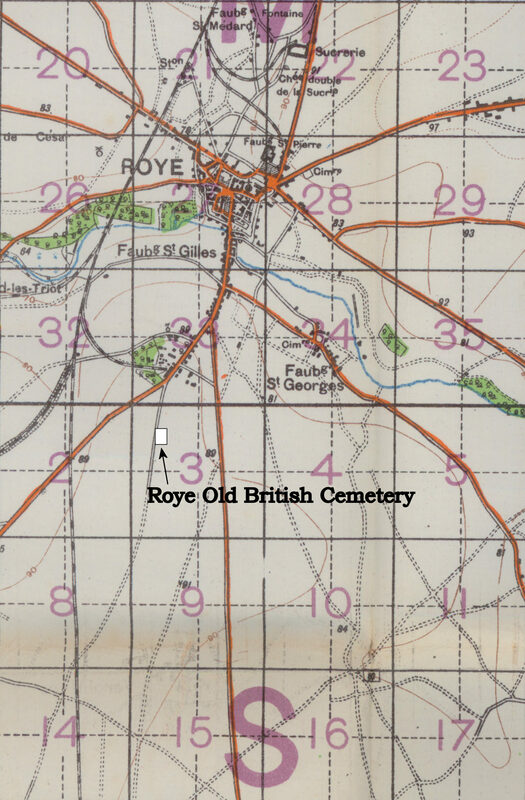 Roye Old British Cemetery was part of Kriegsgräberstätte (War Cemetery) Roye-St.Gilles created in 1920. This image is from Map Sheet 66. The British section of the cemetery was at grid reference: 66D.S3.a4.5.